Are you dreaming of adding a room to your home that will bring the outdoors inside? What types of activities will you enjoy in your new addition? How much of the year would you like to use it? Screened in porches, 3-season rooms, and sunrooms (also called 4-season rooms) are extremely popular room additions in the Raleigh, Durham, and Chapel Hill area. They all offer access to the great outdoors while also providing protection from the hot southern sun and pesky insects. Beyond that, each type has different benefits. Which type of room is best for you? We can help you decide. Let’s begin by sharing basic differences between these outdoor living options, with advantages and possibilities for each. 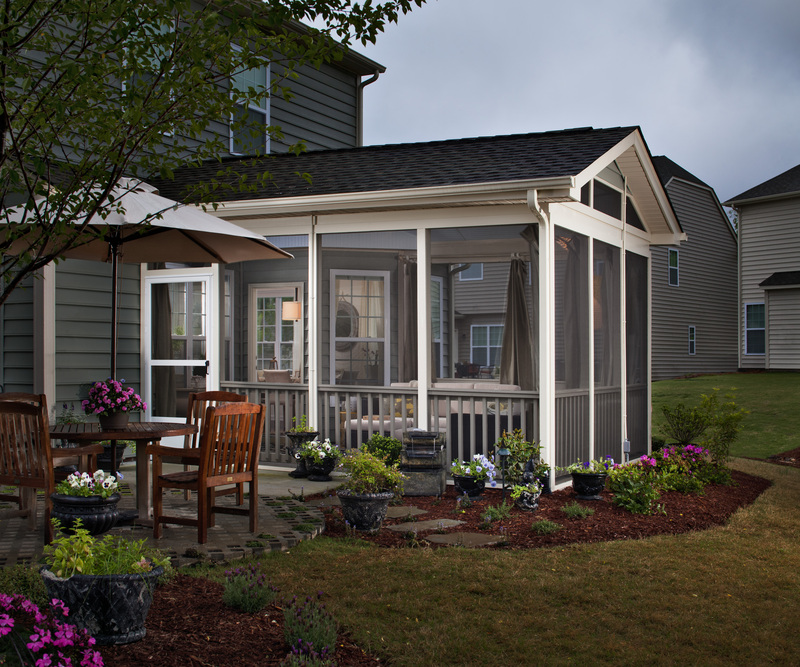 A screened in porch is an outdoor space that is adjacent to your home, covered by a roof, and enclosed by screens. The roof offers protection from the harsh glare of a hot summer sun, the downpour of a spring shower, or the cascade of falling autumn leaves. The screens allow you to enjoy fresh breezes while keeping out unwanted pests and insects. Of all the room possibilities, screened porches offer the greatest access to the soothing sights, sounds, and scents of outdoor living, and the fewest obstructions to views of your yard. A screened in porch is a perfect place to relax all summer long and on those wonderfully mild days scattered throughout the spring and fall in the Triangle area. Many amenities can be added to screened porches to make them more like an outdoor living room. With the addition of recessed lighting and a ceiling fan, you can be comfortable in warmer weather and use the space well into the evening. Add an outdoor fireplace, wet bar, or outdoor kitchen for increased dining and entertainment functionality. You can even hang your HDTV under the protection of the roof, and host football parties or marathons of your favorite television show in a lovely outdoor setting. A screened porch is a wonderful option for clients who want the greatest access to the outdoors with some protection from the elements, and who are content with usage being greatest in the summer and shoulder seasons. A 3-season room is essentially a screened in porch with the added ability to cover the screens with glass or vinyl windows. 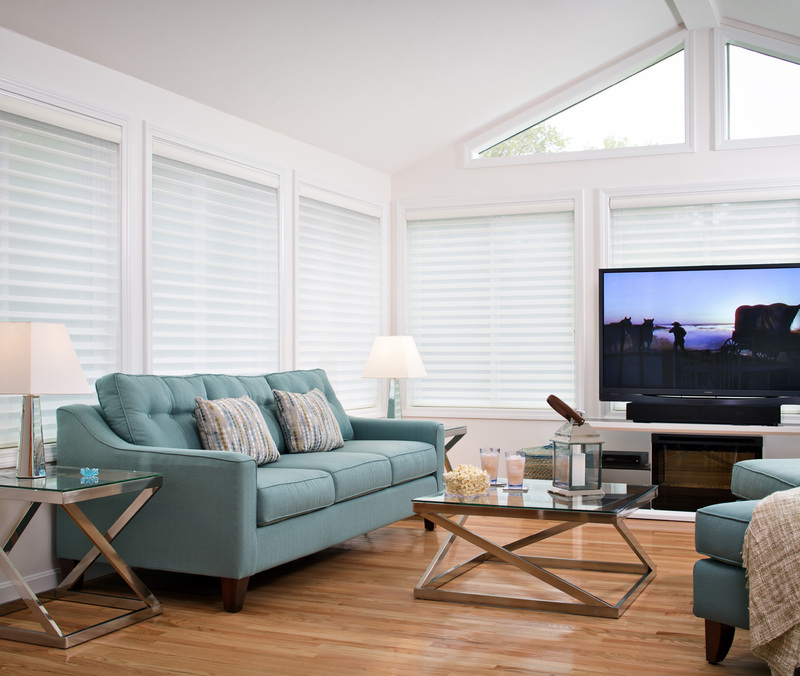 Our favorite upgrade to a screened in porch is the Eze-Breeze vinyl window system. 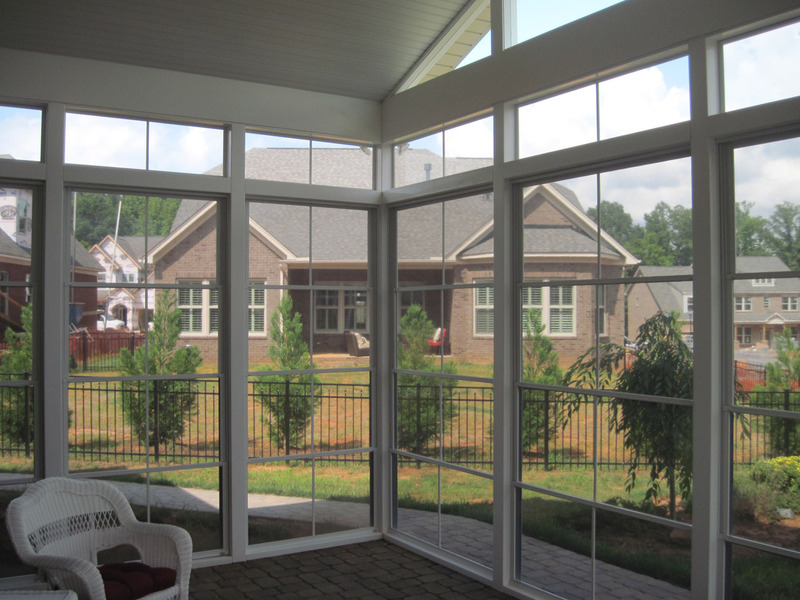 Eze-Breeze windows allow you to easily “close” your porch in the case of unpleasant weather or that dreaded spring pollen, which can be quite plentiful in the Raleigh, Durham, and Chapel Hill area. With a small outdoor space heater or an outdoor fireplace, you can extend the use of your 3-season room earlier in the spring and later into the fall, even reaching into those more mild winter days. The biggest advantage of a 3-season room over a screened in porch is that you get the same wonderful outdoor access and coverage of a screened in porch, with the added benefit of enjoying the 3-season room for more of the year. Like a screened porch, you can also enhance the space with customized lighting, fan, dining, and entertaining options. The greatest advantage of a 3-season room over a sunroom (or 4-season room) is that the 3-season room is more cost effective and a less complicated project. A 3-season room is a smart choice for clients who want to enjoy the extra space of a new room addition, even on days when the weather is not perfect. Sunrooms and 4-Season Rooms are two names for the same structure. This type of outdoor living space allows you to enjoy the outdoor scenery year round in a bright and airy room that has all the comforts of the rest of your Raleigh, Durham, or Chapel Hill home. In reality, a sunroom is an interior room addition that is designed with a focus on the outdoors. Compared to screened porches and 3-season rooms, sunrooms are a more complicated home renovation project that involves HVAC systems, insulation, and electricity. You also have more design options, as most interior room finishes can also go in a sunroom or 4-season room, such as: wood floors, ceramic tiles, wall paper, intricate wood moldings, ceiling fans, and decorative light fixtures. A sunroom is your best option if you are in need of additional indoor living space, and want a focus on the outdoors but in a room that you can use all year instead of seasonally. If you’re considering a screened in porch, 3-season room, or sunroom in Raleigh, Chapel Hill or Durham, call today for your design consultation: 919-973-1523. We’ll help you sort through the options to find the outdoor living room that best meets your needs, design aesthetics, and budget. We look forward to working with you!